Are you looking for the proper dog food that will help your furry friend to lose some weight? How you will find the right diet for him that actually works? Who Should You Buy Diet Food? Well, as you may already know keeping him healthy requires exercise and a delicate balance of diet. These meals are lower in fat and calories than regular pet foods, which will help your canine slim down. In this article you will find out everything you need to know about best dog food for weight loss. Are you looking for a high-quality, natural canine food that will help your pup to maintain or lose weight? Wellness Core Grain free is our number one product. It features fewer calories and less fat than the regular recipes. The formula is grain free which means it is ideal for pets that are intolerant or allergic to this nutritive. And thanks to the fantastic mixture of chicken and turkey meal and turkey, it has a lot of protein. That will keep your pooch feeling full for an extended period. 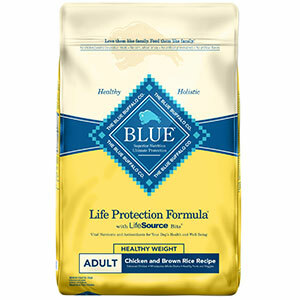 The Blue Buffalo formula is perfect choice for large breed dogs and it is more affordable than our first pick. The first ingredient in this recipe is fresh deboned chicken that is followed by a combination of whole grains, vegetables and fruits. That means this product features all the right nutritives that your dog needs. We need to mention its unique feature, Lifesource Bits, which includes minerals, vitamins and antioxidants to support proper oxidative balance and boost immune system of your furry friend. What’s important it doesn’t contain artificial preservatives, flavors and no soy, wheat, corn or meat by-products. If your pet requires a proper diet that will help him in weight reduction, than you should consider purchasing a Natural Balance pet food. With its uniquely made balance of fiber and protein, this product helps keep your pooch feeling full for longer periods. And thanks to the high amount of protein in its recipe, it is also great in retaining your dog’s muscle mass. In the formula you will find salmon meal and chicken meal as main sources of protein. There is also a range of added minerals and vitamins, plus omega-6 and omega-3 fatty acids, which are promoting overall health of your pup. Annamaet formula has been designed to meet the requirements throughout your pooch’s life – when he is a puppy, adult or senior. We also need to mention that it best fits for small breed dogs. And as you may already know these canines need more nutrition as they eat less food than larger breeds. The recipe contains a sustainable and stable natural ingredient that is a fantastic source of omega-3 fatty acid. Also, the L-Carnitine that is included in the formula, supports health cognitive function and maintain muscle mass. It is great for brain development thanks to the added DHA. These Earthborn Holistic kibbles are the most delicious snacks for all canines. The great thing is that they include ingredients which will promote a shiny coat and healthy skin. The Omega-3 and Omega-6 fatty acids play the crucial role when it comes to this healthier outer appearance of your pooch. This recipe also contains salmon meal, whitefish and lean proteins blended with spinach, carrots, blueberries, apples, and peas for boosting the immune system. We need to mention that this formula doesn’t include gluten or grain and that it works as a fantastic aid for training. This product is an excellent choice if your dog suffers from allergies and food intolerance. It contains only one animal product as its source of protein – chicken; which means that it has simple ingredient panel for pets that have sensitive stomachs. The formula features chondroitin and glucosamine to support joint and hip health. It also includes fatty acids to ease irritated skin, and which are great for shiny coat and healthy skin. We need to mention that this recipe doesn’t contain soy, wheat, corn potatoes or grains and no artificial preservatives, colors or flavors. Victor dog food recipe features optimal fat and protein levels to help your senior pooch remain healthy and energetic. This formula is naturally designed with minerals and vitamins along with other ingredients that will boost your canine’s immune system and support digestive system. We need to mention that this formula doesn’t contain gluten, soy, wheat or corn and it is also free from processed grain by-products such as wheat midds and rice bran.Your senior pet will certainly love this high quality and delicious meal. The Nutro Lite is an ideal option for small breed puppies. Its number one protein source and ingredient is farm-raised chicken that will help support your canine’s muscle mass and it tastes great. The great thing about this product is that it has all the vitamins and minerals that small breeds require in their daily diet. The formula features Omega-3 and Omega-6 fatty acids that will promote shiny coat and healthy skin. The most important thing about this recipe is the fact it doesn’t contain artificial preservative, colors or flavors and no GMO ingredients. If you are looking for the best wet food recipe for your pooch, then you should consider purchasing Hill’s Science Diet. Bear in mind that this recipe is recommended for pets ages 1 to 6. It is a fantastic formula for your furry friend as it contains lean proteins, vitamins and minerals that will help your dog feeling full after a meal for an extended period and boost his immune system. Thanks to this great combination of ingredients your pup will be able to easily digest the meal and stay active. With this food and regular exercise You pup won’t have problems to lose weight. Iams Proactive Health is a great choice if your pup is trying to lose some weight or at least maintain it. It is recommended by veterinarians as it is very healthy for metabolism. The first ingredient and number one source protein is chicken that will help your puppy to promote healthy and strong muscles. It features Chondroitin and Glucosamine that are excellent in preventing and treating osteoarthritis. We need to mention that this recipe is specially designed for large breed pet as it will help him maintain healthy joints and bones. As long as you are providing your dog with the proper amount of calories per day, he will be on the right track to lose weight. For less active dogs, less food is always better. Bear in mind that diet pet food can feature between 250 and 400 calories per cup. When you are choosing the proper food for your pup, you should always pick the ones that has named meat meals and meats, whole grains or other sources of minerals, vitamins, vegetables, fruits, or carbohydrates. The quality of these nutrients are essential for his health. It is important to check if the food you are buying is the proper one for your type of the dog. On the market, you will find the recipes that are suitable for large breed or smaller breed. But, you will also find the formulas that can be used for different type of pets. If you have a senior dog, you can purchase a food that is formulated specifically for these pets. Otherwise, you should choose an adult recipe. Bear in mind that your puppy should never go on a low calories diet, because he will need more nutrients for body developments. Veterinarians recommend avoiding food that features artificial preservatives, flavors or colors. They can be harmful to the health of your pooch. So when you are choosing a high-quality dog food make sure these additives are not included in the recipes. If you want to help your canine lose weight, you need to make some changes in his daily routines. You need to change his diet and exercise more. Take a look at our reviews of best stimulating interactive toys for dogs, and start with more active plays with your furry friend. But first you need to know the difference between the normal and diet dog meals. Most regular foods contain between 400 and 500 calories per can or cup, which makes it very easy for your pooch to gain weight. 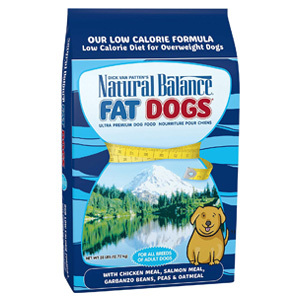 But, diet dog food contains less calories (between 250 and 350) and lower carbohydrate and fat levels. They are high in protein which will make your dog feel full for longer period. And also, both type of foods contain vitamins and minerals to boost your dog immune system. Always read the label before you purchase the right meal for your pup. It is a great solution if you want to regulate your canine’s weight or maintain a healthy one. The good thing about low calorie dog food is that it contains less fat and calories and more nutrients that your pet will need while on a diet. Also, bear in mind that your pet exercise every day or at least four times a week. If you’re out of idea how you can make your furry friend burn extra calories read our guide about exciting outdoor activities with your dog. As we already have mentioned in this article, it is essential for your dog to exercise regularly. If he is not active, diet you are providing him will not be as effective as it would be if he is very active. You could start with a slow walk and then gradually increase the speed of it. Start exploring more ideas about how you can make your dog more active. The high-quality dog food shouldn’t contain excessive fillers, sugars, or by-products. Also, avoid purchasing the meals that feature artificial additives such as preservatives, digests, flavors, dyes, colors – ethoxyquin, BHT, BHA. Always check the label before you choose the product for your furry friend. A high protein diet is an excellent solution for dogs who are trying to lose weight. The proteins from different animal products will keep your pooch feel full after each meal for an extended period. That means he won’t be as hungry as he would be if he is consuming regular food. When you are concerned about your pooch’s behavior or health, you should always consult your vet. First, he will determine the exact cause for your canine’s weight gain. And then he will decide which dog food is the best for your pup. 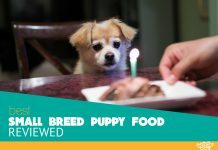 How much does my dog need to eat for a healthy weight? That depends on the weight, size, age, activity level of your dog and whether he needs to slim down. The packages of these meals include guidelines that will show you how much food you should give to your furry friends. Bear in mind that these are just guidelines and that you should also consult your vet before you determine the amount of food for your pooch. What is the ideal weight loss rate? Your dog shouldn’t lose weight too quickly as that can lead to serious health issues. Instead, it is essential to keep the loss rate to about 1 to 2 percent of your four-legged friend’s total body weight per one week. Is there a diet plan for obese dogs? Yes, there is a diet plan for overweight canines. Consult your vet – he will explain you everything you need to know about your dog and how much food he should eat. Then you will be able to establish a weight-monitoring plan. What is the best food recipe for weight control? Light dog foods are made to help your pet slim down if they are heavier than they should be for their size, age or breed. Our number one food recipe is Wellness Core Grain free as it features fewer calories and less fat than the regular formulas. All of these brands use fresh, natural and high-quality ingredients when making the meals. We have reviewed many different brands and found that these have the best quality-price relationship. These foods are specially formulated to help your canine maintain or lose weight. So, if you choose any of the formulas to mention above you can rest assured that you will be selecting a reliable recipe that will help your pet stay active and healthy.